Technical advice from Calex Electronics on choosing a suitable infrared temperature sensor to measure small targets. The PyroCube model S1.6 measures a 1.6 mm area. Its LED sighting shows the position and size of the measurement spot. Industrial applications for infrared temperature sensors usually involve large targets, and are easy to solve with general-purpose models. These pyrometers usually have divergent optics that measure larger areas at longer distances. 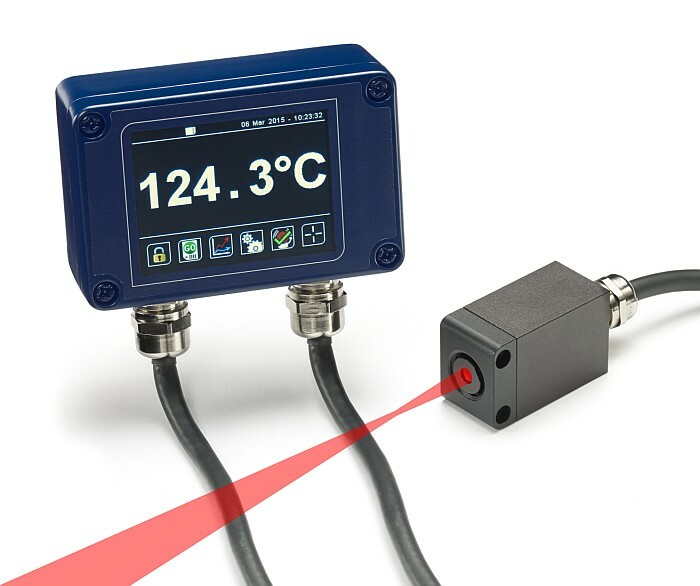 When measuring webs or sheets of material, or the surface of material in a large container, obtaining accurate temperature measurements with a pyrometer is simple. But what if the object to be measured is very small? 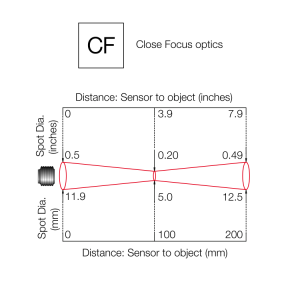 As the size of the target gets smaller, the choice of optics becomes more important. Smaller areas emit less infrared radiation for the sensor to detect, so there is a limit to how small an area can be measured. 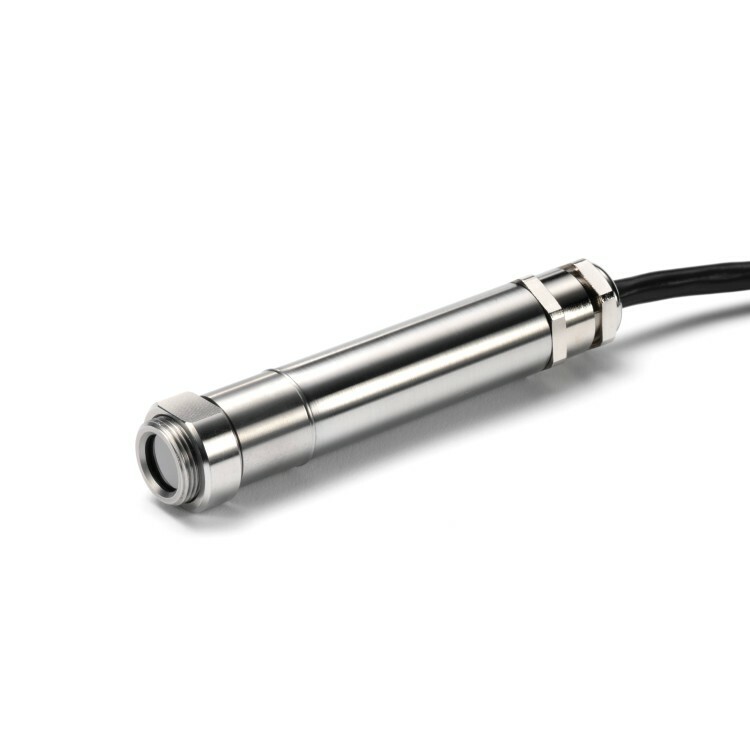 Most Calex infrared temperature sensors are available with a choice of optics to suit the target size and distance; some can be ordered with “close focus” optics designed specifically for measuring small objects. 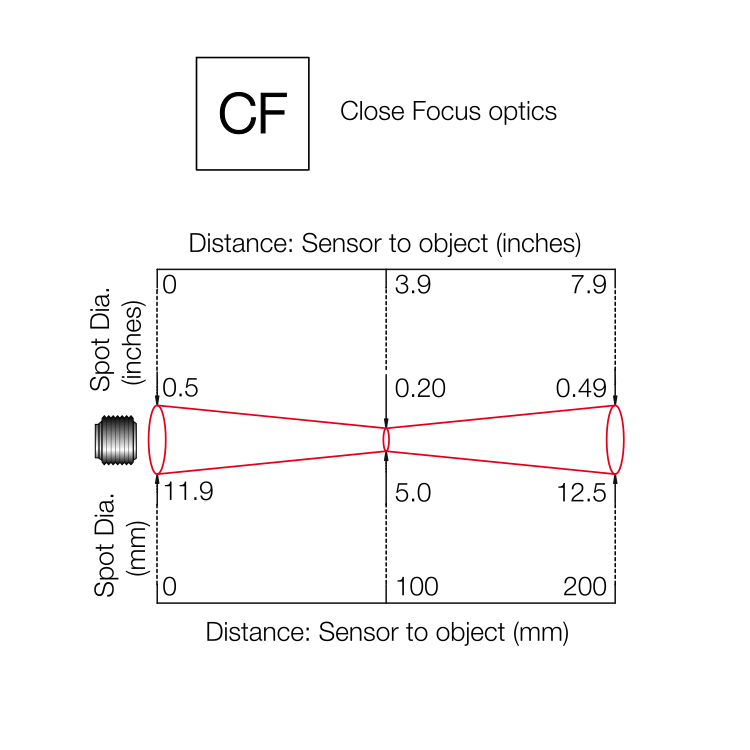 For example, the PyroCouple‘s close-focus option allows it to measure a 5 mm-diameter spot at a distance of 100 mm. 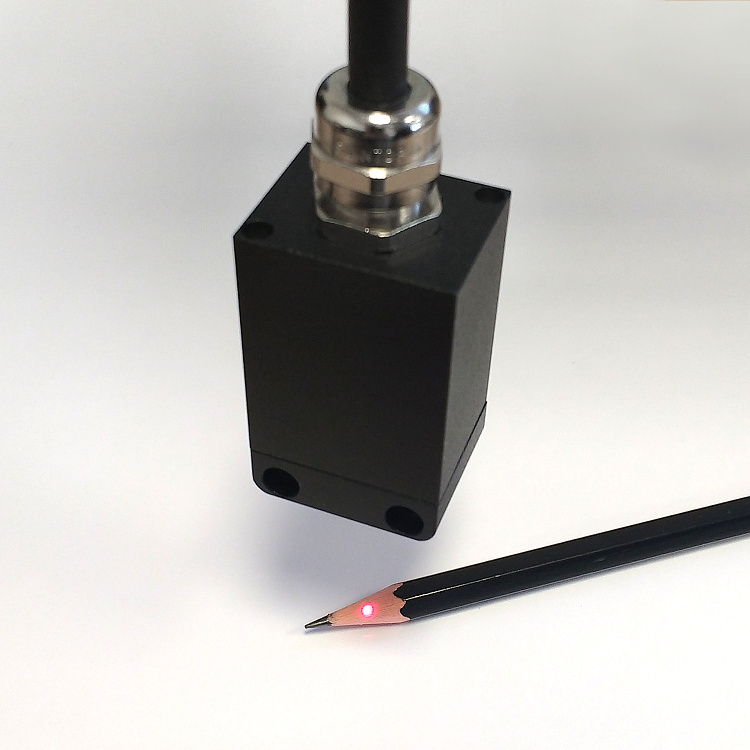 Calex sensors use precision optical components for a very well-defined measurement area. The measured spot size given on our data sheets contains 90% of the IR energy that the sensor can detect. The area just outside this spot contributes a little to the measured temperature (because no optical system is ever perfect) so we always recommend that the target is at least twice as large as the given spot size for maximum accuracy. For the example above, the smallest object that could be measured would be 10 x 10 mm in size. 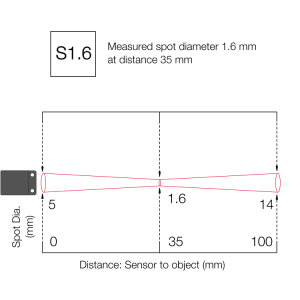 An important thing to remember is that the measured spot must be filled completely by the target – the sensor must only be able to “see” the thing you are measuring. This is because the measured temperature is the average temperature of everything inside that spot. For objects smaller than 10 mm, consider using the PyroCube: the general-purpose PCU-S1.6 model can measure a spot of 1.6 mm diameter (or a target of 3.2 mm). 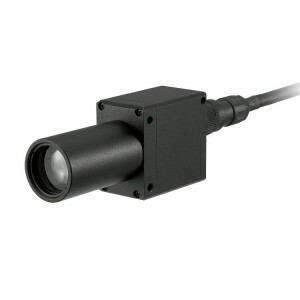 To help aim the sensor, all PyroCube models have built-in LED sighting that illuminates the exact area being measured. The LED light does not affect the measurement and may be used while readings are being taken. The smallest area that we can measure is 0.7 mm in diameter with the PyroCube XSA0.7 pyrometer, as of August 2016. This level of extreme precision is ideal for measuring the temperature of individual electronic components on a circuit board, the insulation jacket on thin wire, or very narrow plastic weld seams. With this sensor, it is even possible to measure the temperature of the molten edge of a thin plastic component before it is welded. Again, built-in LED sighting is included as standard. 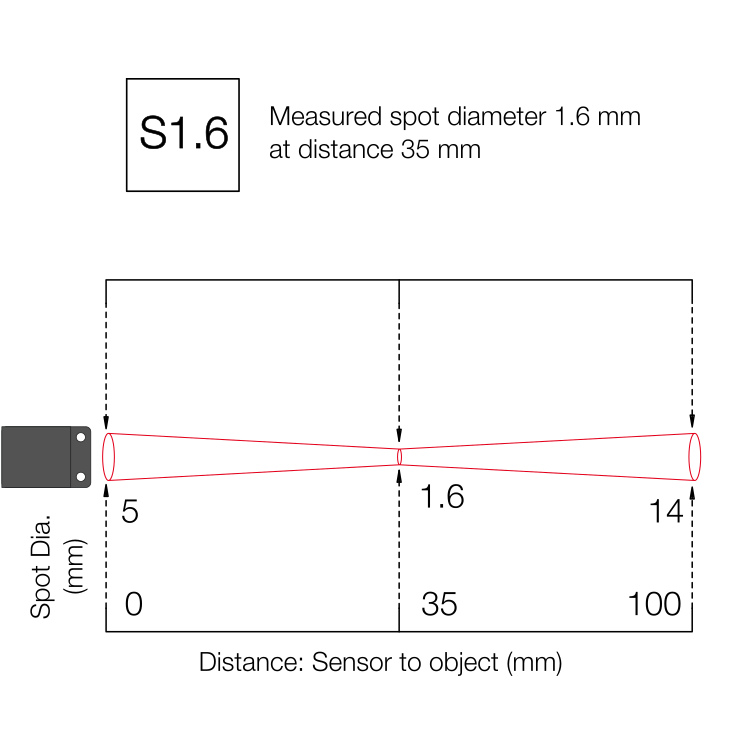 The measurement distance is 40 mm for a focal spot size of 0.7 mm, however the sensor can alternatively be used at any other distance between 0 mm and 100 mm, with a larger measured spot size. 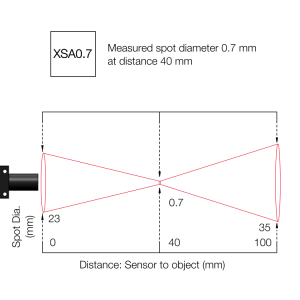 As well as the size of the measured spot, there are a few other important things to consider when choosing a suitable sensor. The temperature range has to be right too. 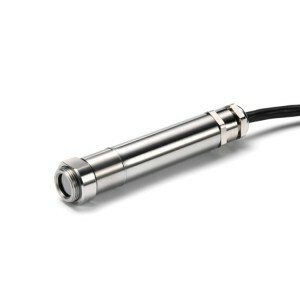 In some cases a short-wavelength sensor, or a sensor with an application-specific wavelength, is required. Contact Calex for assistance – we’ll go through all the specifics and help you choose the right sensor for the job.